SO IT'S CONFIRMED THAT WIDE OPEN WILL BE THE NEXT SINGLE!!!! I like this. Have given it a few repeat plays. A good choice of remixer for the track. Comments underneath the video from Chemical Brothers Vevo read: Full release coming soon. It's out 11th December according to THIS. Closing the band’s 6th consecutive number one album ‘Born In The Echoes’ (out now on Virgin EMI), ‘Wide Open’ features vocals from the Beck and has been a pillar of the duo’s psychedelic sets over the summer. Huh??? Did I have my ears closed during the Werchter and Apple music sets? This presumably won't embed due to the emojis in the tweet. Wide Open spotting. I guess we can start counting the hours 'til the track and the video are released. 'Best Before' is a funy little late night show on UK Channel 4, where a guest DJ plays/mixes records live and talks through what they're doing with the host. I suppose I could/should post the link below in Now Playing, but it kinda relates to the tweet above. It's the 'mixtape' that Eats Everything was talking through on tonight's show. There's a track on 28 minutes called Bright Lights by 12 Stories which is super-ace. Wide Open (original mixed into Kolsch mix) appears around 39 mins. Also the track after Wide Open is the new Richy Ahmed mix of New Order's Tutti Frutti which also comes out on Friday. Ooh the excitement! I like the Joe Goddard remix, it kinda sound like a Soulwax remix, but not as good. I actually kinda like that new Chems mix though the original is one of my least favorite tracks on the album. and Wide Open - Kolsch, Goddard and Chems remixes. Considering the interest that (some) forumites showed for a demo version of Surface to Air a while ago, I thought these remixes would at least garner a few comments (whether good or bad) from some more of y'all. This new Chems mix has new bits of actual song that we haven't heard before. The opening lines: "I remember the time we were lost...". It almost sounds like an 80's soft rock ballad. I have gone from dissing the track on Facebook when we heard it in the summer ("like something David Guetta would play") to slowly but steadily warming to the track. I still think it's a bit cheesy, but hell this is good cheese. It's now a standout track for me on the album. The youtube comment that mentions M83 in relation to this "Light of the Moon" mix also resonates with me. The Goddard mix adds some energy I think - makes it more 'danceable'. I'm just not sure about the xylophone(?) sound that comes in around 7.30. I agree with your 'Soulwax' comment as well, BenJ. The Kolsh remix is also worth another mention - definitely the classiest version of the track. Incidentaly £3.90 for the three Wide Open mixes on Beatport seems to be the best value for money for those looking to purchase. Unless anyone can do better? Chems Remix of Wide Open I would actually put after Radiate. A tad overpriced I must say if you want a 3 track remix release in lossless. 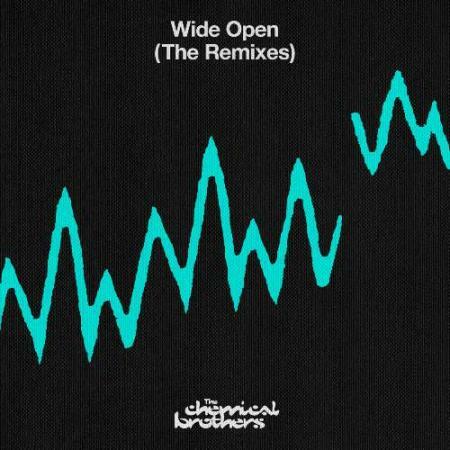 I like all three remixes for Wide Open. The 'By the Light of the Moon Mix' was a very welcome surprise. Does anyone if Beatport pro is DRM free? I kind seem to find the answer.